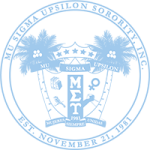 Statement: Mu Sigma Upsilon Sorority, Inc. Condemns Violence and Hate in Charlottesville, VA | Mu Sigma Upsilon Sorority, Inc. This weekend, hate groups and domestic terrorists went to Charlottesville, VA to push their hateful message of white supremacy, fascism, anti-Semitism, and bigotry. Mu Sigma Upsilon Sorority, Inc. does not condone these violent and hateful activities by white supremacist groups. As an organization we represent a diverse group of women from various cultures and ethnic groups and we must stand together in opposition of hatred and racism. We are making a call to all people in this country to start doing the work of having difficult conversations with family, friends, coworkers, and neighbors. This is not only the responsibility of the oppressed but of all of us. 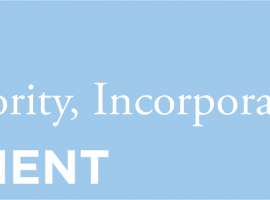 We would also like to extend condolences and prayers to all victims of this domestic act of terrorism and we pledge our solidarity to the students of the University of Virginia, Greek and non-Greek, faculty and administrators, and alumni.